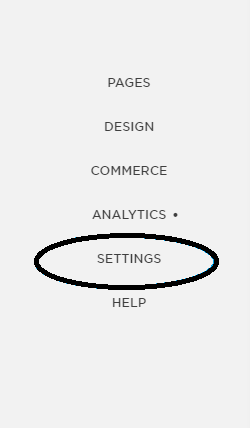 Open the Squarespace “Code injection” settings page. Click Settings, then Advanced, and then Code Injection. 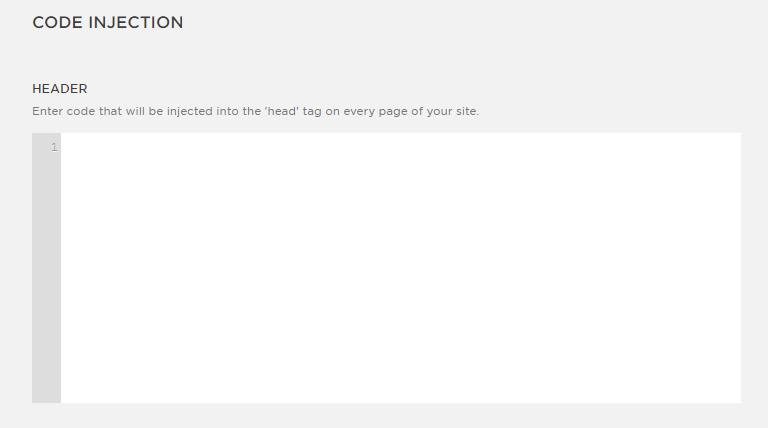 Click the “Save” button on the Squarespace Code Injection page. GlobalizeIt is now successfully installed on your Squarespace website! Now we must provide links for visitors to change the language of the page. Click the “Add page” button with the “Link” option, shown in the screenshot below. 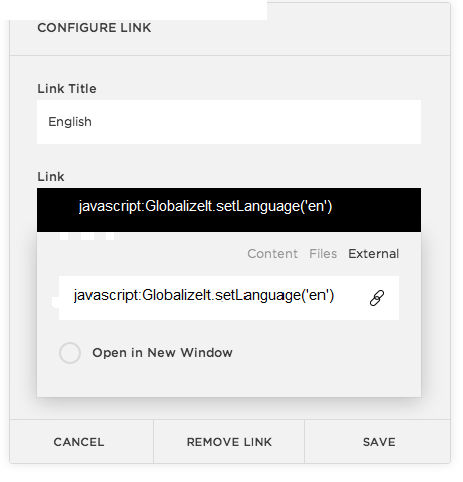 A "Configure link" window will appear, as seen in the screenshot below, Enter the name of the language you want to translate your website to in the "Link Title field, Next, copy and paste the code below into the "Link" box. Change "en" to the 2-letter language code for this language. 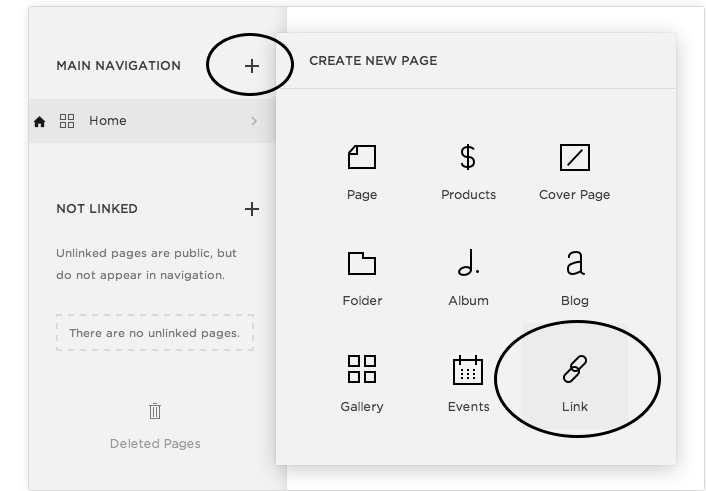 After saving the changes from the previous steps, reload your Squarespace website. Globalizeit will automatically detect the content on your website and and save it to your Globalizeit account. 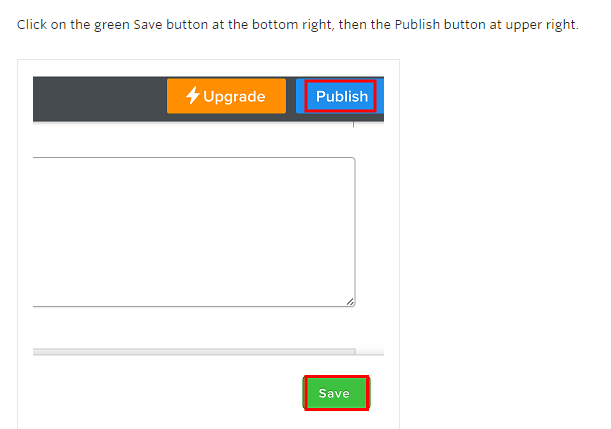 Click on the green Save button at the bottom right, then the Publish button at upper right.